The Jewish Mom Who’s Running for Senate in 2018—and Could Win! As the health care fight got heated in congress and women throughout the country expressed outrage over the potential loss of maternity benefits and children’s healthcare, one Jewish mom and public servant got bold and announced her Senate bid. 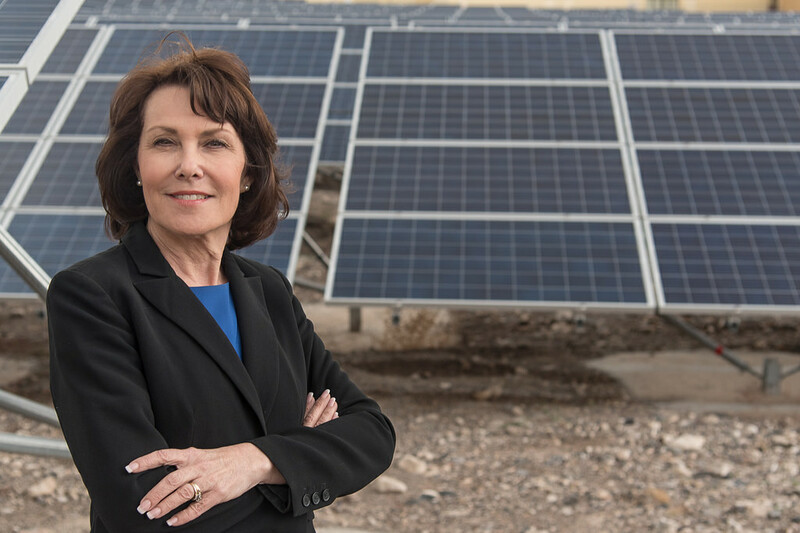 Nevada Congresswoman Jacky Rosen, a former synagogue president, is challenging Senator Dean Heller—and she’s one of many women who are stepping up these days. Her opponent, under intense pressure from casino magnates, ended up coming around in favor of the odious “skinny repeal” Trumpcare bill, which would have hurt families’ health coverage considerably. He’s still doing a dance on his health care stance, giving Rosen an opening for the 2018 race. She spoke to us about the aftermath of Charlottesville, how being a mom prepared her for public service, and why women should get involved in pushing for change no matter what paths their lives and career have taken. Kveller: What’s your week since Charlottesville been like, as a Jewish mom and a public servant? Rosen: It’s been frightening on both ends. Those words, “it can’t happen here,” are no longer part of our lexicon. It’s been happening here undercover—now it’s really out in the open. I partnered with many of my colleagues to censure the president in this regard. It is so distressing to me that people in our administration are not having a crisis of conscience. This is not a Democratic or a Republican issue, but a human issue–we fought a civil war against slavery, we fought WWII against genocide. If you can’t be full-throated against that—well, there are no good people who promote genocide. I feel energized in that fight along with many of my colleagues of all faiths, to put these haters back in the boxes where they belong. A lot of our readers are curious about what life has been like since you got elected to congress. It’s a lot harder than you imagine, but it’s a lot better than you imagine, too. The best part is all the people I’ve worked with in congress—when it comes to the committees, we’re talking about things that impact our families and communities, so I’ve had great conversations, and made friendships with people who really want to make a difference. The hardest thing is: You only have so much time—when you choose to be somewhere, there’s 50 places you’re not. You just really feel like you can’t do enough. Did being a mom prepare you for that—having more to do than you have time to do it? I don’t know if it’s being a mom or my past being a synagogue president, but it’s true: my mother-in-law used to say “You’re gonna die with laundry in the basket.” There’s always more to do. You have to do your best in the moment, and accept that the laundry’s still going to pile up, regardless of how fast you go. What would you tell women or moms who are thinking of running for office? I would tell them to be bold, to be audacious–because women especially do not take a straight path to come to many jobs in their lives. For a woman, sometimes you step off to raise your family. Maybe your kid is sick—how many times does a mom call in sick because her kid has the flu? Maybe you step away, like I did, because my parents and in-laws were old and sick at the same time and I stayed as their caretaker. Women have a varied and unique experience that’s no less important or significant than the straight path that many men, or at least men of the past generations, have been able to take. We need to realize that we are the culmination of all those things: everything we learned being a mom, wife, daughter partner, an employee. All that makes us uniquely qualified to lead, and to talk about the issues that happen around everyone’s Shabbat table, kitchen table, Thanksgiving table. We understand how to use common sense, to compromise and make the decisions for our families as a whole, for our communities as a whole. So: never think that you’re not good enough, not smart enough, that you don’t have the right kind of experience. If you have the passion. Keep speaking out, keep standing up. What advice do you have for moms, especially of younger kids, who aren’t there yet: who feels that they have no time at all, but want to make a difference? I tell people two things you can do that don’t take a lot of time. The first one is, you can vote: The power of your vote is precious—it is a gift. People around the planet look to us for free and fair elections. And you can take everyone you can to the polls with you. And number two: When you do vote, no matter what side you’re on, try to vote for people who aren’t stubborn. What I mean by that is: Government moves forward by people coming together. We know this as Jewish women–we’ll come to the table, we’ll have a coffee cake, we’ll talk and we’re figure out. You want people, whether Independent, Republican or Democrat, who are willing to come to that table on difficult issues. Speaking of which, heath care is a huge issue right now for us, and obviously for you. What do you plan to prioritize if elected to Senate? I’m for “mend it, don’t end it.” I’m a systems analyst, so I want to take the best part of the Affordable Care Act, those ten essential health benefits that protect women’s health, that protect against being denied insurance for pre-existing conditions, and the like—I want to protect those. And then I want to find the things that we can do to get the biggest bang for the buck to reduce premiums. Negotiating pharmaceutical prices will probably help the most people the fastest. I want to find those things we can do right way so we can put money back into families’ budgets. On a less serious note—I know you’re super busy running for Senate, being a congresswoman and so forth—but have you had time to watch any TV shows recently? I heard “Curb Your Enthusiasm” is coming back—that’s one of my favorites. I watched “The Crown,” on Netflix that was really. But these days I spend so much time traveling back and forth and trying to read up on the issues, I haven’t had a whole bunch of time for TV. I’m sorry to say. What’s your favorite Yiddish phrase? “Oy vey,” and a little bit of “meshugenah“–that kind of sums it up right there. You can only imagine why. 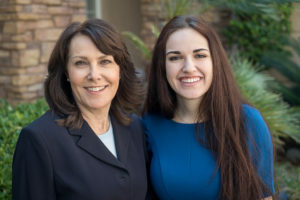 When my 21-year old daughter looks at me and says “mom, I’m so proud of you,” that sentence is priceless to all moms, and it makes my heart soar.